Joy, gladness, delight, happiness, elation, exultation... On Sunday evening a French RSCJ and I talked about the different ways of describing joy in our respective languages, and the nuanced gradations in depth and intensity contained within each word or phrase. 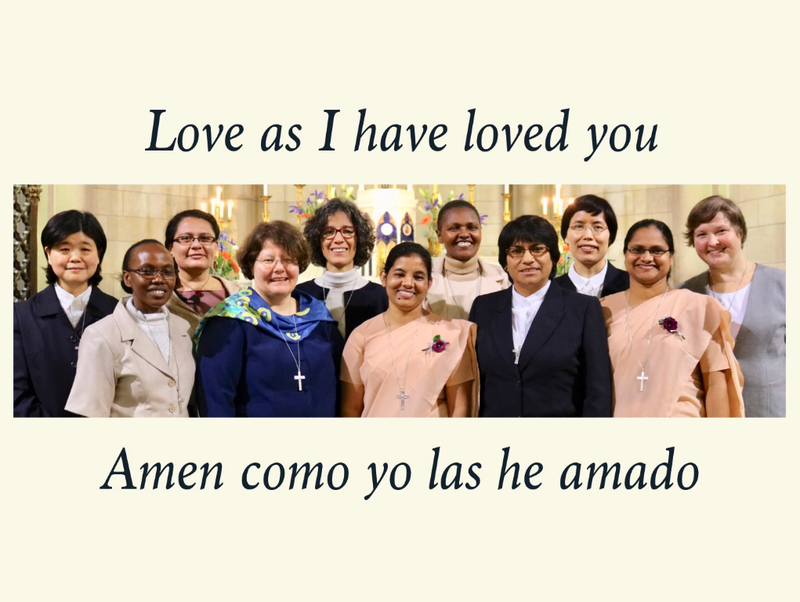 A few hours earlier we had been at a profession ceremony for eleven young sisters making their perpetual vows; a ceremony during which joy palpably filled the very air of the chapel, radiating contagiously from the newly professed to their guests and back again. Joy born of love mingled with pride was on the faces of families and friends, sparked by and reflecting their daughters', sisters', friends' quiet glow, their radiance and evident delight. 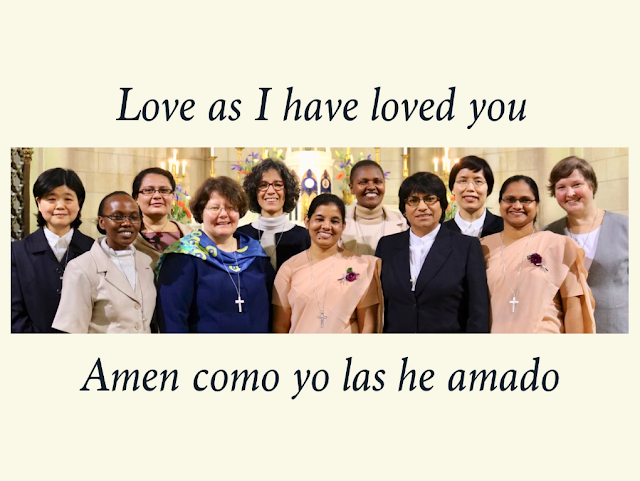 There was deep joy too in each of the religious, as with our younger sisters we relived and renewed our own self-offering and consecration, praying the blessings once said over us, whether five or fifteen or fifty years ago.